Featured: Rosa Cha, Industrial Garage, Santorini and Iceland. From beginning to end, every step of tile design is important. Picking out the right color, shape and material is just as important as its installation. The layout of your tile can make it a stunning supporting piece or an eye-catching center of attention. Learn how to change the perception of your room and take your design to the next level. If you want a more contemporary look, installing your tile horizontally is the style for you. Horizontal straight stack guides viewers’ eyes from the top of your design to the bottom. This layout showcases your tile the most and is perfect for boldly printed tiles. Just like the guards at Buckingham Palace, these “soldier stacks” stand firm and tall. Installing tile vertically is a great way to make petite rooms appear taller. This layout also adds balance to your design when working with daring 3-D tiles. Featured: Memphis Bianco Di Elba Ret. There’s a reason why one half offset brick is one of the most traditional looks. The simple enhancement of offsetting stacked tiles by 50% gives your design a more appealing look and can hide any imperfections in the installation. This pattern is the perfect way to add flair without taking away attention from a focal point. Featured: Laura Ashley Oriental Garden Charcoal and Imperial Grey Bevel. The stair-step effect in this pattern is created by offsetting each tile by one third its length. 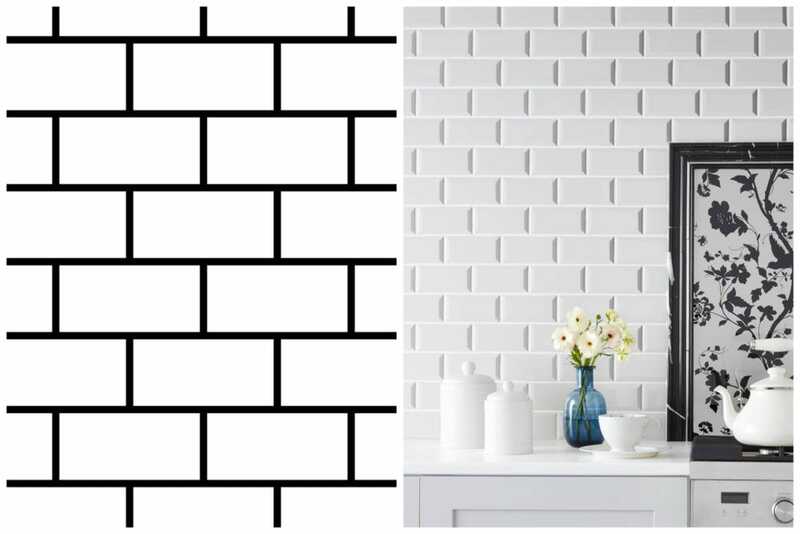 We suggest using one third offset when designing with tile that is 8″ x 16″ or larger. 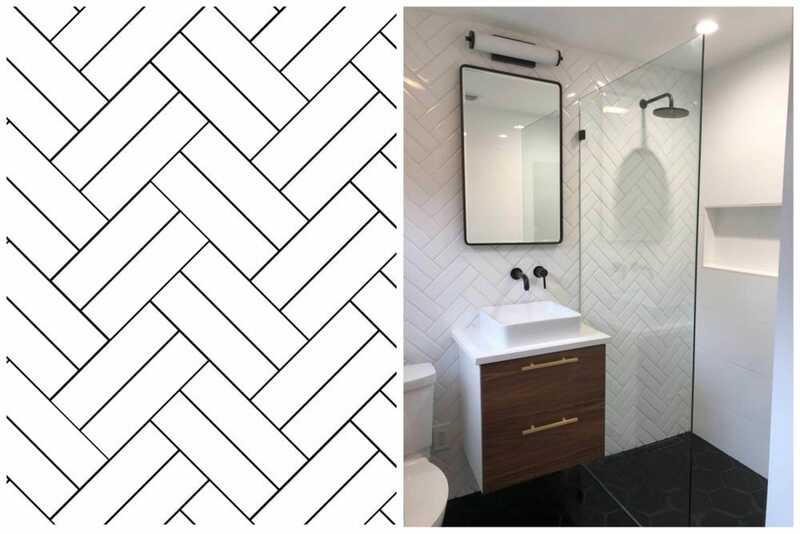 Install large or small rectangles at a 45-degree angle to form the lively herringbone pattern. Intensify the verticle and horizontal zigzag movements by incorporating different colors. Featured: Victoria Grey Dark Brushed. 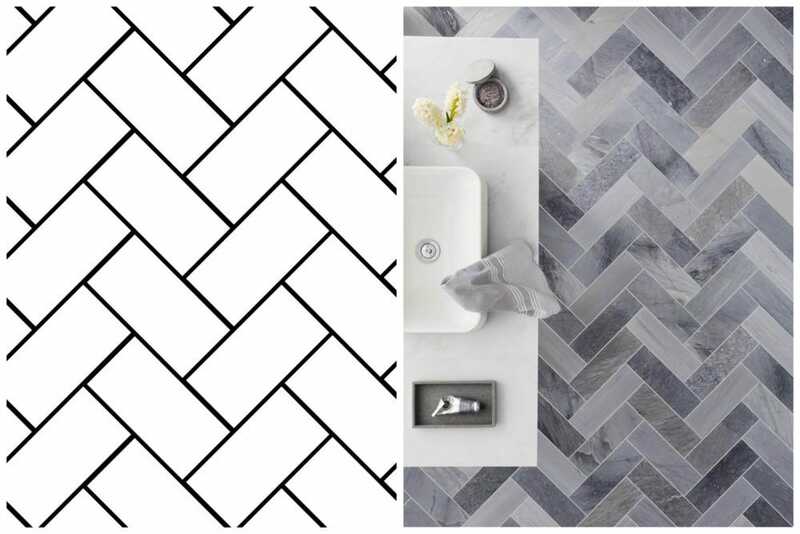 Double herringbone is created by connecting two rectangular shaped tiles with each other. This pattern is not commonly installed because it can be a difficult layout to perfect. Featured: Color Mind Light BR. Design by Friedman General Contracting and Modern Barton Hills Oasis. The chevron pattern is often confused with the herringbone pattern. 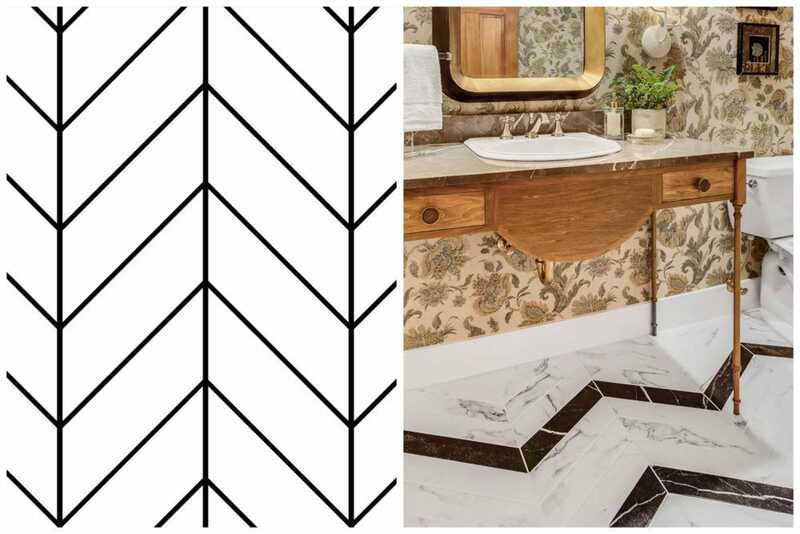 But don’t be mistaken—chevron is created by connecting the ends of tile that are specifically cut at an angle. This added touch gives your design a chic, stylish finish. Featured: Tinos Black Chevron and Tinos White Chevron. Design by West Bay Homes. 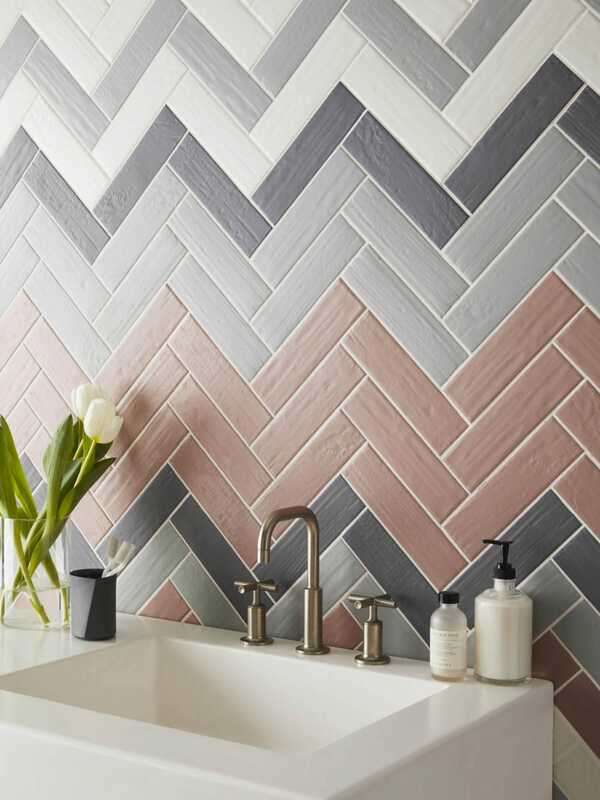 Chevron is another great opportunity to use multiple colors of tile. West Bay Homes emphasized this stunning movement with Tinos Black Chevron. 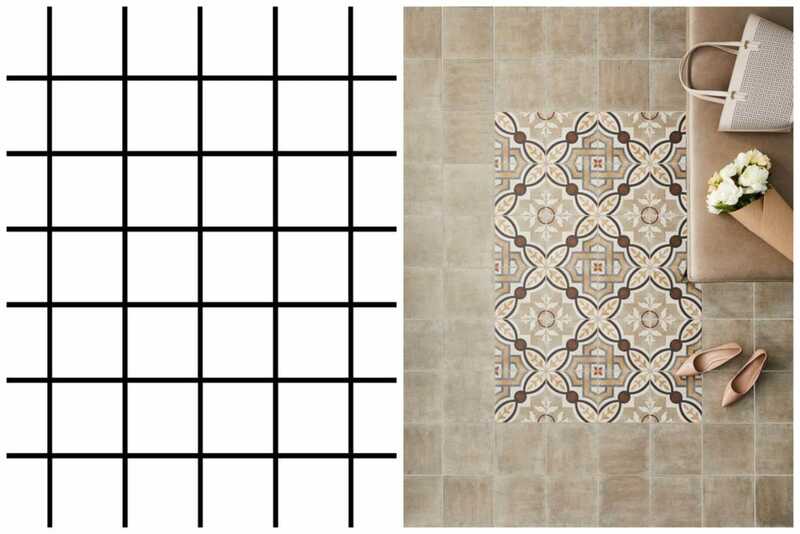 The grid pattern is the easiest way to lay out tile. 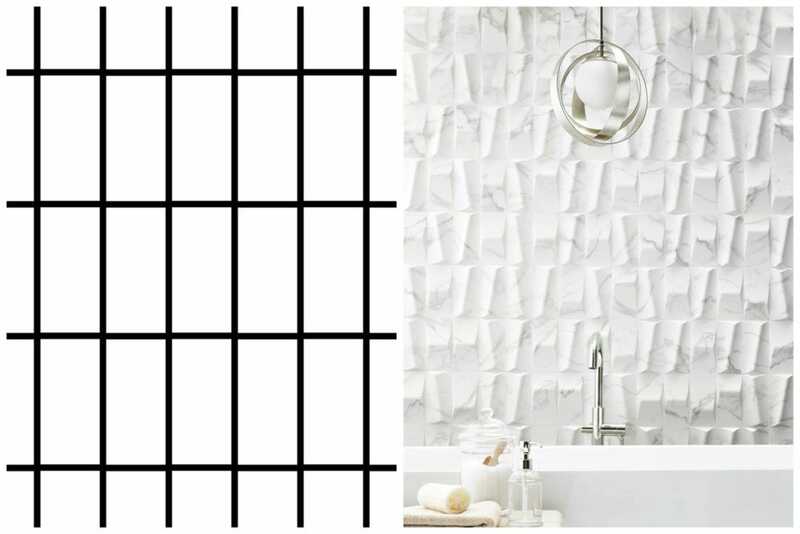 This timeless design is created by stacking square-shaped tiles in a grid pattern. Instead of using a rug at the entrance of your home, display a tile pattern on the floor for more beauty and durability. The diagonal layout, also known as the diamond pattern, is very similar to the grid pattern. Installing tiles in a 45-degree angle makes your floor appear wider. 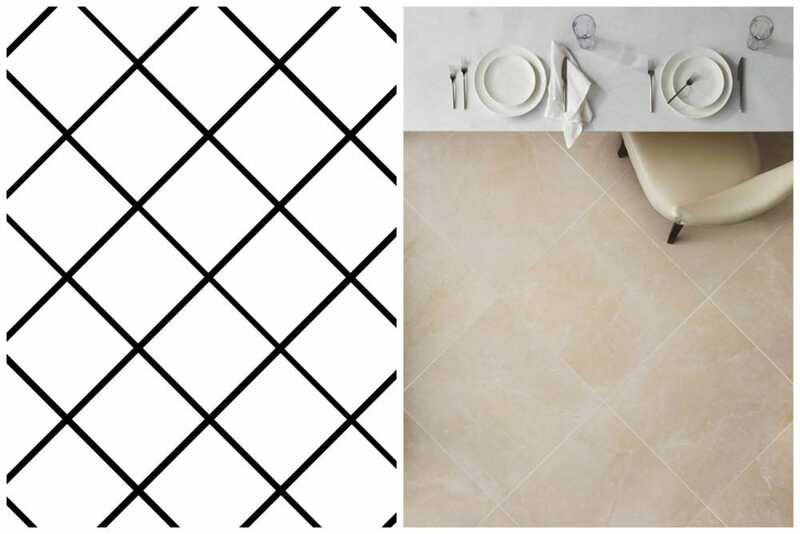 The Versailles pattern stands out as one of the most complicated and exquisite tile layouts. This puzzle-like design is made up of different sized rectangles and squares. While Versailles is commonly designated for floor designs, don’t be afraid to display it across the walls of your home. Featured: Adoni Black Small Versailles. Design by Bria Hammel Interiors. Photo by Spacecrafting. 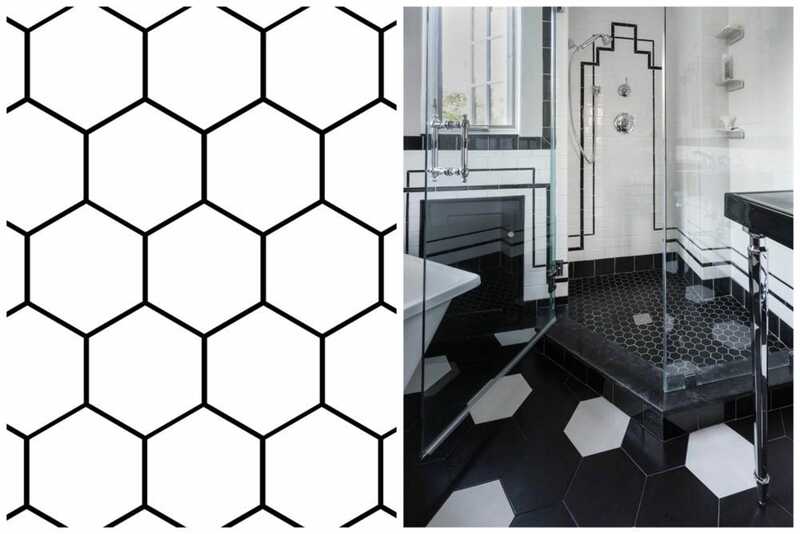 In the image above, Bria Hammel Interiors displayed Adoni Black Small slate tile in a Versailles pattern. 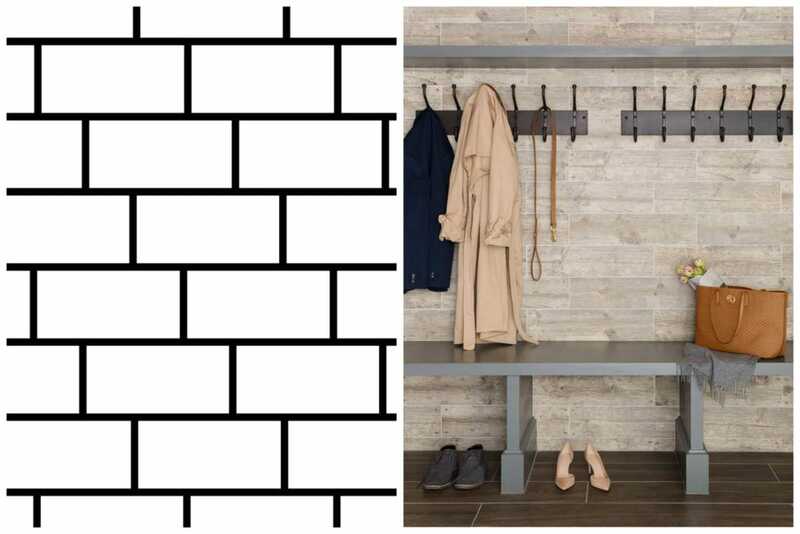 Not only does the black slate provide a beautiful contrast with white cubbies, but the light grout accentuates it. View the full-size image on House Beautiful’s Instagram. 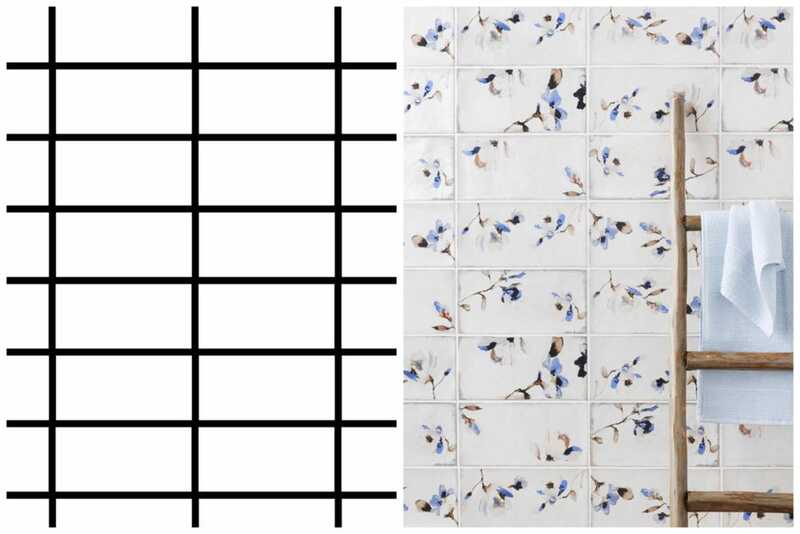 It’s no surprise that tile comes in all shapes and sizes. Liven your design with hexagon-shaped tiles and mosaics. These geometric shapes are excellent for modern layouts because of their ability to support both bold and timeless creations. Featured: Black Hex and White Hex. Design by Cypress Design Co. Photo by Denise Bass. 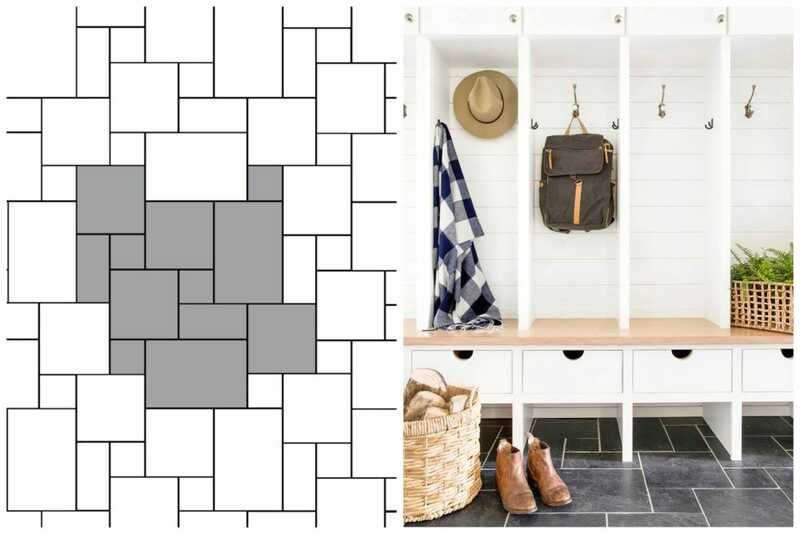 Unsure of which tile pattern is right for your style? Schedule a design consultation with our experts to create the perfect look for your dream home.